Everyone has their own ideas for handling stress and anxiety. Some will say that exercise is the best remedy or meditation perhaps. Well have you ever thought of getting a dog as a solution? The bond between man and canine goes back thousand of years, since we’ve begun living in settlements. What makes these animals so special is the fact that they show no signs of being afraid of people. In fact, they love strangers. For the most part, they’re very welcoming to meeting new people. This is good news because just as much as dogs love being pet and played with, it actually is beneficial for us as well. Petting a dog has been shown to reduce stress, lower blood pressure, and regulate your breathing. In addition, it also releases oxytocin in both the dog and the person, which is associated with bonding and affection. Many even say that dogs are empathetic. This can be seen in a study performed by a psychologist at the University of London, where volunteers were asked to pretend to cry. Upon hearing these people cry, nearly every dog approached the crying volunteers to cuddle or lick them. I guess it’s true what they say—Dog really is man’s best friend. If you or a loved one is experiencing any type of anxiety, it may be beneficial to contact a mental health professional and receive therapy for this social anxiety. If you are in Bergen County, New Jersey, feel free to call our Paramus office at 201-368-3700 to make an appointment with one of our own therapists, counselors, psychologists or psychiatrists. While I understand and appreciate this perspective and agree that dogs are very therapeutic companions (I’m a dog owner), I want to stress that dogs are not commodities; they have very specific needs, and a person should understand and be able to fulfill those needs before they consider adopting. Yes having a dog does lower stress levels and contributes to a higher quality of life emotionally and even physically (speaking from personal experience), but there’s a lot that goes into dog ownership—it requires work and commitment—and a person must be prepared to take on the fullness of that responsibility and not just adopt for the sole reason of wanting to feel unconditional love. 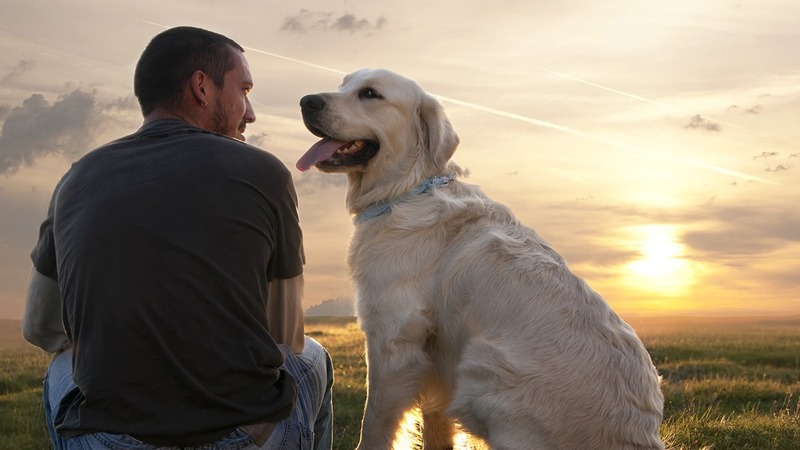 Dogs have a lot to offer us as companions, yes, but we must be able and prepared to offer them what they need too in order for our human-canine relationship to be happy and healthy. Great point! Dogs can fulfill many of our needs, but you’re right, it’s important to take their needs into consideration as well.